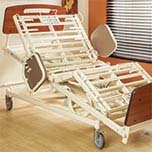 Filter through our selection of Panacea® beds based on positioning, mobility and expandability. 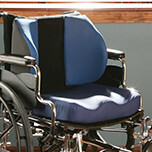 We offer a vast selection of healthcare equipment that will make every day as comfortable and convenient as possible for your residents and staff. Keep your residents happy and healthy with product solutions specifically designed for Senior Living. Let beds and mattresses provide the ultimate sleep surfaces, while assists and bedside accessories enhance the safety of each room. 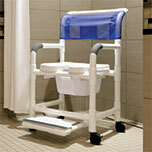 Or, consider your resident bathrooms – do your shower chairs, tubs and commodes need upgrading? How does your staff feel about your fleet of lifts? Look to our offering for comprehensive transfer solutions with the sling selection to match. No matter what you’re looking for, Direct Supply has the solution you’ve been seeking. 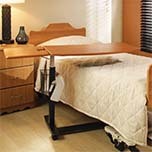 Enhance your community today with our selection of healthcare equipment specifically engineered with seniors in mind. 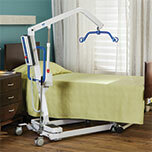 Need help finding the best healthcare equipment for your residents? Use one of our selections tools or check out our blog!